1) How to buy New Cars Below Dealer Invoice Prices - Save Thousands without negotiating with a salesman. 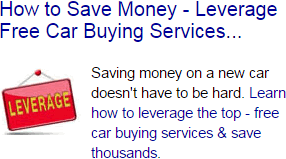 2) The Best Car Buying Websites - Save time and money. These are the best websites to research, compare and price your next new car. 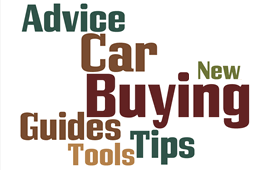 3) Top 40 New Car Buying Tips - Must know tips to help you save money on your next new car. 4) 10 Car Buying Mistakes - Avoid doing these and you will have a headache free - hassle free car buying experience. 5) Top 6 Dealer Selling Systems - Designed to add sales pressure and confusion - these tatics can sting. Lear what they are and how to avoid them. 6) New Car Prices - Broken down by MSRP, Invoice Prices and True Dealer Cost. Learn the true cost a dealer pays for a vehicle can give you needed leverage when it comes time to buy. 1) How important is your credit report and Credit Score when applying for an auto loan? 2) Ten car insurance mistakes to avoid. Learn How to Leverage the Top Online Car Buying Services to Save Money ..
5 Free Car Buying Services You Should Be Using. Avoid Car Shopping Headaches & Hassles. Bypass Most of the Negotiating. Don't Waist Time Going From Dealer to Dealer. Get the Bottom Line on Price Upfront.